Facing threats to his kingdom and his family, Vlad Tepes looks to make a deal with dangerous supernatural forces - without succumbing to the darkness himself. A sympathetic Dracula? As long as he doesn’t sparkle, I guess that’s all right. It looks unique, and with Del Toro’s name attached, there’s a good chance it will also be odd. Yes, it’s Keanu Reeves, but don’t run! The film is actually getting a great buzz. Last Thursday, I finally finished all of my edits on my next manuscript! I’d been polishing and adding small scenes for weeks and almost to the point that I didn’t want to look at the story anymore. But I completed my task and sent it to my publisher Friday morning. Will talk more about it on Wednesday for my IWSG post. Tree of Life now available! 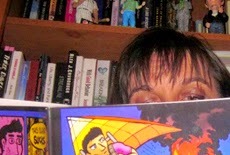 Nicki Elson posted her Shelfie and look what book was just over her right shoulder. Thanks, Nicki! Picking up some new books? Get the trivia right? Ready for IWSG post day? Joining us in the bloghop? And what movies catch your attention in October…? congrats, Alex. What better way to celebrate than beer and pizza and a good movie? Congrats on finishing the edits - sounds like a great celebration! Miranda Hardy's Death Knocks sounds awesome. It's already on my TBR list. The Survive and Thrive Bloghop sounds brilliant. Self care is NOT one of my strengths. Congratulations (as always) to all the talented authors out there who feed my bookaholic self. Thank you. Thanks for highlighting The Tree of Life project for Tina's kids .. a very worthy cause ... I'm off to buy it now. Congrats on finishing your edits. That must feel so good. And awesome blog hop. I signed up. That Book of Life looks really different....saw a preview of it when watching some other movie. I wasn't sure what to think! Yeah, being sick of your book is a good sign! You've put your time in with the edits, for sure. The edits could be a stage for reflection to finishing to be followed by celebrations.Sweat and tears practically over!That's great Alex! Congrats! I think Twilght helped vampires come out of the coffins again. Peoples are thirsty for blood? SO EXCITING about your book. Good luck. Lynda, thanks, and I can't think of a better way. Rhonda, and that is exactly why I hyperlinked myself! Hilary, so glad Tree of Life is finally available. Elizabeth, I have put in a lot of time. Well that's a trivia set I'd have gotten good marks on (hubby loves most of those films) had I been on time. ;) For some reason, I thought you were a Monday poster. I'll have to check back more often. Congrats on the manuscript! I'm thinking Godzilla might be dropped in hubby's stocking by Santa this year (we haven't seen it yet). And I have to say the gal on the cover of Rue looks quite a bit like Kristen Stewart. Congrats on finishing your writing, well done. I am looking forward to reading it once published. I drew a blank about Godzilla. They finally got to him in the film though it took a while. Still a fun watch. Godzilla wasn't as bad I had expected. It was quite entertaining... However I won't want to rewatch it. Congrats for the milestone! I hope your publisher will love your manuscript! Congrats on finishing your edits. I think The Book of Life looks cute. Love the animation. Congratulations on finishing your manuscript. Looking forward to learning more about it Wednesday. Interesting movies coming out. Not sure why a movie has to start off with a beloved pet being killed (couldn't it just be hurt and tick him off), oh well. The blogfest sounds like a positive way to encourage early detection and help make people more aware. Love October because of the countless horror releases. The main releases, however, are barely as promising, aside from Fury and The Book of Life /the latter I'm most excited about/. Self care is so much easier for those of us who live in countries with a national health system. I feel so sorry for those people who just cannot afford to go to see doctors on a regular basis. I only got one of the trivia right although I did see some of the movies. Congrats on finishing polishing your MS.
Congrats on another manuscript! Look forward to hearing the details. Not too interested in those movies. Been re-watching The Walking Dead, gearing up for Oct 12th. Finished Season 1 - awesome! Alex, how do you write at Ninja speed? I'm beyond impressed. Congratulations on finishing the draft of your next manuscript. You're unstoppable. Congrats on finishing up your edits - that must feel good! It's like bringing a knife to a gun fight, someone has to win and depends on which do you bring? I'm excited about Dracula Untold--love the idea of the motivation behind Vlad deciding to become a vampire. My IWSG post is scheduled! Congrats on the MS! Hope your publisher loves it! Rosey, I'm back to two postings a week now. At least until further notice. Donna, it was fifty-five minutes before he appeared in the film - I checked. Sheri, please write one! You have a lot to share. George, there were over a dozen horror films I didn't even mention. Madeline, sorry you have to change it. Robyn, I'm really slow though. Hope your weekend event was successful! I think Tree of Life is a wonderful idea. Tina's legacy lives on in so many ways. Thanks for all the info. Happy Monday! Dracula and Fury are on my top list!! I love military movies. Oh I've come to that point where I just don't want to look at it anymore, do or die time then. Not the greatest month for movies. Hmm a health one huh? Want the cat to rant about how everyone has worms? Alex, that's wonderful you finished your edits. Congratulations, my friend. I so get not wanting to look at it anymore. So sorry I can't participate in the blogfests - too much going on, but have fun with them, okay? Previews for the fury, john wick, and dracula untold look pretty good. I will probably see them eventually on video. "As long as he doesn't sparkle, I guess that's all right." LOL. I can see that Twilight vampires might not be up your alley. You strike me as more of a meat and potatoes kind of vampire fan. Congrats on finishing your latest edits. All rounds of edits are worthy of a little celebrating! What a great idea for a blogfest! I can't wait to see Dracula Untold! Congratulations on finishing your edits!!! Pizza, beer, and Godzilla sound like the perfect way to celebrate. Congrats on finishing edits and sending off your manuscript. Definitely worth celebrating. I love WWII movies and books, so I'll have to check out Fury, even though I'm not a big Brad Pitt fan. And I'm sort of looking forward to Fury with Brad Pitt. Seen some good clips for that one. Any time vampires kill people, I'm happy! I'm so glad to hear that you finished your MS and sent it in! That is awesome. Fingers crossed that they love it as much as we did! Good for you, Alex. I'm still dragging behind on Killer Stilettos. Had to put it down. Drafting another piece for now. Then I'll go back to it. Seems to be the story of my life recently--how to survive and thrive. I should sign up for that one. I haven't been around much the past few months so I really didn't see your notice for ISWG. I do have a few articles on marketing...I should look through them and see if any would fit. Always love to see your snarky comments. Especially love the one about Dracula. COngrats on finishing your edits. That calls for celebration indeed!! Congrats! Celebrating with pizza and beer is the way to go! What's your beer of choice? Also, I think I'll pass on Dracula Untold. I'd rather see Vlad the Impaler, not Vlad the Dad. He may not sparkle, but I'm not yet sold on the "dadliest" vampire. Pat, that would be hilarious. Heather, thanks for the vote of confidence. Brandon and Bryan, Corona! Dadliest - that made me chuckle. Congratulations on finishing the editing. Signed up for Survive and Thrive Bloghop as feel the issue is very important. Not sure that multiple sclerosis is avoidable but maybe good health can hold it at bay. I want to see Dracula. War, not so much. Beer and pizza, yeah. I have been craving for pizza for weeks. Congratulations! Congrats on the my edits on your next manuscript Alex. Godzilla is a great guy to celebrate with. I'll probably wait for Dracula to come to Netflix or Amazon Prime and I'm convinced that Brad Pitt does WWII films so he can cut his hair in that style. It's the same one he head in "Inglorious Basterds". Congrats on getting the editing done and best of luck with the rest of the book! Dang, my comment disappeared. It doesn't matter. Just wanted to say how much I love Keanu Reeves. Should be a good movie, i hope. Keanu Reeves? Hmm. I'm not sure about the dog angle;-) But it sounds interesting. The Fury sounds intriguing too. My G'pa was in Normandy, so I'm drawn to anything WWII era. I've been there about not wanting to see your ms ever again. I took time off (a week) and I'm back in business. Still working on 2 other books!! I will try to contribute something on publishing & marketing on Wed.
congrats on the MS! I'm currently outlining my next project--always enjoy the fun part before the work begins! Congrats on finishing your edits, Alex. That's always a feeling of great accomplishment. Got my copy of Tree of Life. Hope it helps Tina's boys. Now I'm off to write my IWSG post! Congrats for getting your book ready to send to your publisher! Just about ready for IWSG Wed and submission. "De-Wordi-fying" it now. Picked up two new poetry books and one other nonfiction book about Alcatraz. Time crunch this week...so that is all. Congrats on getting your edits done! I really have no desire to even look at my manuscript right now, let alone edit it. I'd like to see Fury, though I almost never see films in the theatre anymore. I can think of some health conditions to write about for the bloghop, conditions which the crunchier than thou crowd thinks are no big deal and don't need to be treated or screened for, like Group B Strep, Rhesus Disease, and gestational diabetes. Roland, glad you are on board for the hop. Christine, I am here to amuse! Al, pizza, beer, and parrots? Lisa, hope you find it. And The Usual Suspects is one of my favorite movies. Carrie-Anne, you need to talk about them then. Really? Going on a blood vengeance rampage because somebody kills your dog? I'd say the guy's psycho. Congrats on finishing the edits for your latest book, oh great Ninja who thought he wouldn't have anything to write about once you finished your first series. Not sure about any of those movies. Congrats on finishing your book. I know what you mean about reading through a book for the hundredth time. Signed up for the blog fest and I am getting Jay Noel's book. None of those movies seems like my kind of thing, but I haven't gotten to see Maze Runner yet. Maybe this weekend. Congrats Alex, Beer, Pizza and a Movie are the perfect way to celebrate. I want to see the Maze Runner. Will be sending my contribution for the IWSG Guide to Publishing and Beyond in some time. Congratulations on finishing your manuscript. Maybe Keanu Reeves is getting better as he ages. Can't wait for the bloghop! I'm not really enthused about any of the upcoming movies, most especially the Dracula one. Congrats on the finished project!!! Well deserving of some beer and pizza!! Yes, it is surprising what can trigger the death of a dog John Wick. Congrats on finishing edits. That's a wonderful accomplishment. About the movies: Revenge for killing your dog works for me. I used to love Brad Pitt, but no more so don't watch him. I have a copy of Tree of Life. Looking forward to reading it. Does it feel good and anxious at the same time when you hand in your final ms to the publisher. I'm finishing my final edits too, and hope to have them in by Friday. My problem is-- I can rewrite a paragraph until the cows come home!!!! Hadn't heard of the Keanu movies, just watched the trailer and it does look pretty good. Mind you, the trailer to the Ronin movie also looked cool and that was a terrible flick. What a great topic for a blog hop. And since October is breast cancer awareness month, a perfect time, too. Did you know about Blog Action Day on the 16th? Grats on finishing your edits! Godzilla 3D sounds like an excellent celebration. Anne, that made me chuckle. Sarah, that one looks like it will satisfy your inner geek. Cathrina, I'm really not that anxious. And my cows came home and went back out again. That's a great shelfie pic. I hope lots of people buy the Tree of Life to benefit Tina's kids. Congrats on finishing your ms, sounds like you had a brilliant celebration! Not sure I can survive another bloghop right now. I'm just trying to thrive in my daily life as it is now. But I've been known to change my mind. Love your snarky comments. Congratulations on your edits! I'm participating October 1st and I'm offering a marketing topic. A non-sparkling vampire I can believe, but a Keanu Reeves movie that's good? Come on. Definitely looking forward to Fury. Congratulations on finishing your round of edits! *snerk* Non-sparkling vampire. I doubt I'll see that despite being a vampire junkie. Dracula has been done to death, so a new movie... I can wait for DVD. I am finding myself drawn to the history of the B-29 and WW2. And I am reading Rick Watson from "Life 101) in Life Happens. It is an enjoyable book, written in his story-teller voice. Hooray on your edits! Awesome! Congrats on finishing edits, yahoo! Looking forward to hearing more at IWSG. That WWII movie looks great except for Brad Pitt--I'm not a big fan. Miranda and Jay's book was a nice surprise since it was a pre-order. Yay on another book from you. I can't wait to read it. Congrats on finishing your edits on your next manuscript, Alex! I'm looking forward to reading more about it on Wednesday. Congratulations on sending off your MS! Certainly worth a pizza/beer/movie celebration. Congrats on the completion of you latest novel! So glad you had a good celebration! You deserve it! Definitely some cool movies coming out. 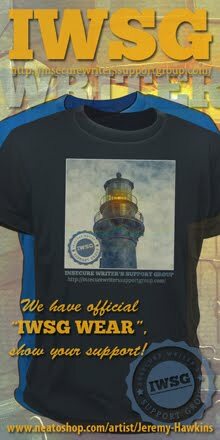 So not ready for the IWSG post, but I will have one... I always do. Since I am in the top fifteen I must ALWAYS post. LOL. Congrats on finishing your edits! 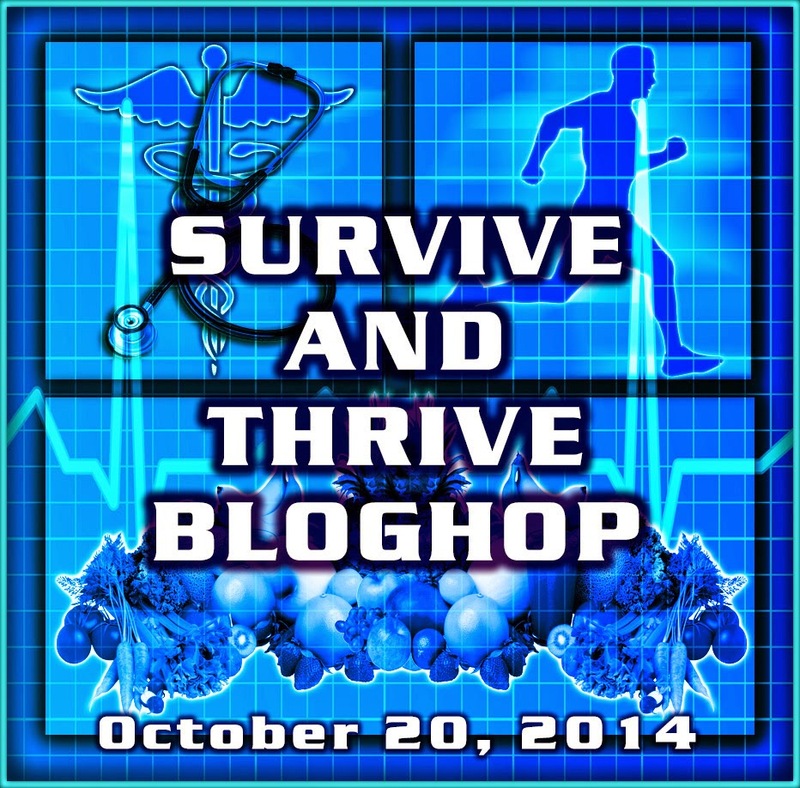 The Survive & Thrive Bloghop sounds like a great idea! As for my IWSG post, I'm not sure my lack of experience will be of "benefit" to anyone, but I'll try my best. Congratulations on the edits and polishing--those tasks never seem to end! I read that Fury is a very dark look at the violence of war, so I don't know if I'll see it. For once, I got a few of the movie trivia questions right! But of course not all of them. Sigh. Congrats to you. Well done. We watched The Reeds, didn't think it was all that good, but it could have been had they worked out the wonky bits. Jemi, there is a lot happening that day. Michael, you don't want to lose your spot! Julie, I'm sure you have a lot you can offer. Way to go on getting those edits done! Yes, another sparkling vampire would be a bit much. Had to smile at the mobster movie too - vengence for a dog. I can'T help smirking at the idea of it being a goldfish. I should be done drafting my book today or tomorrow and am looking forward to the day when I can say...done with edits and off to my editor! :) Way to go, Alex. That's a great feeling, isn't it? Congratulations on achieving your final manuscript! That's a great feeling as you finish that final manuscript! Now go forth and celebrate. The Dracula previews did not grab me. I'll wait for reviews from movie goers on Yahoo! Fury and John Wick? Same thing. All you can eat churros? We're all in for Book of Life! Oh come on, Alex! I loved how Edward Cullen sparkled! LOL! And yay, Alex! I'm happy for you and the relief and accomplishment you must be feeling now that your book is with your publisher. You add and I chop! I didn't get around yesterday because of your plea for pieces on publishing or marketing. I scrapped my piece on writing and wrote exactly 300 words on publishing ~ A little daunting because I do not have a published book myself. But then I'm known for crawling out on very skinny limbs. Have a happy week! I like Keanu Reeves -- always have though. Congrats on getting your book sent off. I'll be contributing to the book tomorrow with my post on publishing and marketing with the help of my friend and publicist Krista Rolfzen Soukup of Blue Cottage Agency. What a great project! Congrats on the completion of your edits. Hope the beer went down smoothly. I don't know about you, but I'm actually a Keanu fan. John Wick looks great, as does Dracula. CONGRATS on finishing your edits! Fundy, I've sure it's awesome. Chrys, everything past that first book is a celebration for me. Lauren, I think it looks good. Congrats on finishing your latest MS. I know what you mean by not wanting to look at a story any more. CONGRATULAIONS! What a huge accomplishment- I look forward to hearing all about it tomorrow! I'm surprised there aren't any horror movies you want to see this month- tis the season, after all. I'm all signed up for the survive and thrive bloghop and boy is that perfect for me to talk about living with diabetes- I'm psyched! 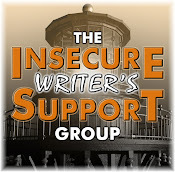 Got my IWSG post and it's the contribution to the Guide for Publishing. TaDa! Signed up for Survive and Thrive because I believe in using Social Media for good causes. This is one. Beverly, thanks for joining us. Horror movies are rarely good. I wait for NetFlix to watch most of them. Congrats on getting your edits done! And I love the idea for the bloghop! Alex, congrats on finishing your edits! A great way to celebrate. Congratulations on finishing your draft. Isn't it bizarre how little control we have over our stories? It doesn't matter one whit if we decide on A, B, C. If the story decides to go X, Y, Z.
have to put on my thinking cap for the Survive and Thrive Bloghop. Not sure how I missed this one, but what a good one. I wish I was more excited about these movies, but I'm not. That's okay because I just got my copy of Tree of Life. Too busy and booked to participate, I will be looking forward to what everyone is sharing for the Survive and Thrive bloghop. Yes, in this delightful design Godzilla gold! Great idea for a blogfest - not necessarily 'fun', but definitely important and well worth doing!